Washington, D.C.: Regnery Publishing, 2016. 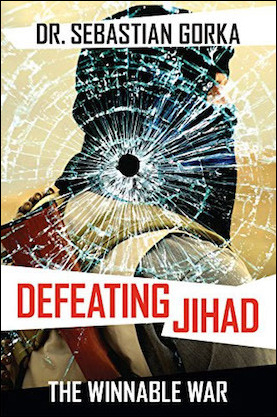 Those looking for a comprehensive and detailed explanation for defeating jihad might be disappointed in Gorka’s study as his recommendations are confined to the last five pages of the book. The bulk of the work is a rehash of related topics that may be enlightening for those new to the field but are banal for those more acquainted. Thus, the reader is offered a recap of 9/11, the U.S. responses, and their aftereffects; a standard summary of the life of the Prophet Muhammad, the meaning of the “greater” and “lesser” jihads; and a survey of the modern theoreticians regularly associated with the present-day articulation of jihad such as Sayyid Qutb, Iran’s Ayatollah Khomeini, and al-Qaeda’s Ayman al-Zawahiri. Gorka’s recommendations for defeating jihad are good (if unoriginal). First: “Deploy the truth: You cannot win a war if you cannot talk honestly about the enemy. … [W]e must use the term ‘jihadist’ to describe groups like the Islamic State.” Second: “Take a step back: Help others fight their own wars.” And finally: “Winning the war at home: [calls for] education and human intelligence. … [W]e need to establish a nationwide program of education and training in the enemy threat doctrine of global jihadism across the armed services as well as federal, state, and local police forces and the intelligence community.” All three recommendations are certainly a good start—to which can be added banning immigration of Islamists and monitoring Islamic centers in America. The difficulty concerns the first, and arguably most important, point: speaking accurately. Gorka regularly points to U.S. ideological war with the Soviet Union as a precedent and model for U.S. leadership to follow. But the analogy is not very helpful. The U.S. ideological war with the U.S.S.R did not distinguish between a “moderate” and “radical” form of communism—at least not in the way Gorka and others distinguish between a “moderate” and “radical” Islam—but rather was an unabashed denunciation of the heart of communist ideology itself. A more nuanced analogy is required. The sooner Western leaders and pundits remove their blinders regarding the ideological fount of jihadism—the texts and traditions of classical Islam—the sooner a real prescription for combating can be delineated and acted upon. With an advisory position in the new Trump government, Gorka is well placed to make this happen. This book review was written and first published by the Middle East Quarterly some months before Gorka left the Trump administration.